Why am I not losing weight? The answer is simple, you just need to take extra care of your eating routine. We’ve crafted this list of 67 weight loss friendly foods to eliminate the boredom of eating the same foods every day when you’re on a diet. So, why am I not getting these fats off? We ask ourselves this question almost every day. There are a lot of reasons why you’re not losing weight, but the main reason behind it is FOOD! Eating is the easiest thing you do and you can do it anywhere and anytime, which is the main obstacle in the way of losing weight! But the good news is, you’re not obligated to eat a few types of food to lose weight. We’ve prepared a list of 67 weight loss foods to help you lose weight faster and in a healthier way. This article will put you on the right track for your weight loss process. Check out these foods that will help you achieve a flat tummy soon! So, what are the best weight loss friendly foods should you eat to lose weight? The nutritional traits of oranges make them one of the best weight loss foods. The vitamin C in orange juice helps burn fat and convert it into energy instead of storing it in your body. 100 g of figs contain only 49 kcal, which is a very good indicator of successful weight loss and makes it one of the best weight loss friendly fruits. The thing about figs is that they contain several useful elements which affect your health and the shape of your body. It contains Vitamin C which boosts the immune system and fibers which improve bowel movements. Figs make you lose weight quickly so they may be the answer to what to eat to lose weight in 2 weeks. Just one pear packs 15 percent of your daily recommended amount of fiber. One study found that women who ate three pears a day consumed fewer calories and lost more weight than those who didn’t. Take care though that the skin is all that matters so don’t peel it off! Pears, like many other fruits, are weight loss friendly foods because they contain plenty of antioxidants that help fight various diseases and conditions within the body, including obesity. Which gets it a place on the weight loss friendly fruits. That’s because pears are high in fiber, which keeps you feeling fuller for longer, and are low in calories. Avocados are very rich in fiber. A quarter of an avocado offers 3.4 grams of fiber, which prevents bloating and makes your snacks and meals more filling, keeping hunger at bay longer. Fiber also helps regulate blood sugar levels, which can lower overeating. The fact that avocados are good for losing weight comes from their high content of healthy fats, which are known to suppress appetite, leading to weight loss. So they definitely get a place between the weight loss friendly fruits. Raspberries contain something called raspberry ketone. Ketone plays the main role in weight loss. On top of that, raspberries are similar to all fruits in its low-calories, fiber-high composition, that works as a great weight loss friendly food. The fiber in raspberries will help you feel full, and the lower calories mean that you don’t have to work as long to burn them off. Raspberries are also packed with polyphenols, powerful natural chemicals that can help you lose weight by stopping fat from even forming. They are considered one of the best weight loss friendly fruits. You probably never heard it before but eating pumpkin can actually aid your weight loss process, the fruit has 3 grams of fiber and only 49 calories in just one cup. Another benefit of pumpkin if you are a fan of working out while on diet, it’s a great refueling food! Why, you ask? Because of its high potassium content, it’s actually higher than bananas which is the most famous fruit in this category. Potassium helps restore the bodies electrolytes after working out. It also gives you a good amount of vitamin A, vitamin C, and iron, and just like sweet potatoes, pumpkin has hardly any fat which causes it to be one of the best weight loss friendly fruits. Because of their high vitamin and antioxidant content, the blue fruit also has the ability to get rid of excess fat from our bodies. Experts actually believe berries may change the way we process fat and sugar in our diet. Blueberries contain a high level of fiber like most fruits, that’s why it is good for a healthy diet. It is known that fiber plays a role in promoting digestion system. Thus, it is beneficial to prevent constipation and bloating. Not only for that, fiber enables the gut to absorb the nutrients greatly. As a result, the nutrients from food which you have eaten while diet will be absorbed well in the body. That’s why they are one of our favorite weight loss friendly fruit. Check this Metabolic Cooking Full Review to read more about those amazing recipes! Eating half a grapefruit daily can meet 64% of your daily Vitamin C requirement. It is rich in antioxidants, minerals, and vitamins. Lycopene is an antioxidant found in grapefruit which takes credit for the red, pink color to the flesh and also displays anti-tumor properties. Pectin, a soluble fiber present in grapefruit, helps lower cholesterol. Naringenin which is a flavonoid found in grapefruit is said to have DNA repairing properties. As with other fruits and vegetables, grapefruit is a low-calorie food. In fact, one half of this fruit contains only 52 calories. With about 2 grams, grapefruit is also a rich source of dietary fiber, providing nearly 10 percent of the daily needs of average adults. It’s no secret that apples offer a lot of nutrients. Unlike insoluble fiber, the soluble fiber which is present in apples can absorb and trap liquids. Apples have shown their ability to significantly reduce visceral belly fat in overweight individuals with zero side effects. The polyphenols in apples also play an important role in the metabolism of all types of body fat. So, speaking of metabolism, how can you increase your metabolic rate naturally? One of the most important tools of weight loss is feeling full. That’s why one of the great things about apples is that a large one contains five grams of fiber, which helps to keep you feeling satisfied. That’s why apples are nearly our favorite weight loss friendly fruit! The best time to eat an apple in a day is All Day! There is no denying the fact that banana is an excellent source of various essential vitamins and minerals; however, this wonder fruit could possibly aid in weight loss as well. Bananas are high in fiber and provide satiation, which in turn aids in weight loss. They help with sugar cravings and boost metabolism. Bananas are one of the best fruits in terms of fiber content, containing good levels of both insoluble and soluble fiber. Insoluble fiber has been indicated as important for maintaining good gut health, whilst soluble is thought to have benefits for the heart and cardiovascular systems. One theory about pomegranate is that it contains powerful polyphenols which act as an appetite suppressant. Previous studies have shown that pomegranate juice can lower blood pressure, reduce stress and combat middle-aged spread. It reduces belly fat, Pomegranate blocks triglycerides, the type of fat that gets into your blood and increases your risk of heart disease. By attacking this fat before it can be stored in your body, pomegranate also keeps them from manifesting as belly fat. It’s high in fiber: High-fiber foods make you feel fuller longer, which will help to curb cravings and overeating. Guava helps in weight loss as it prevents the body’s complex starches from getting converted into sugars. The Carbs in our body are broken down in the liver and guava prevents this process of Carbohydrates getting transformed into useful compounds. A study shows that guava is very beneficial for improving your metabolism. It regulates your metabolic activity while fulfilling your body’s daily needs for protein and other important minerals. Kale can be one of the main tools for losing weight when used in main dishes or in salads. It is unusually high in fiber which helps create the bulk you need to fill you up and to keep you out of hunger for a good amount of time. Kale is also an excellent source of nutrients, especially vitamin A and calcium. With a combination of vitamins, minerals, and phytonutrients, kale is indeed one of the best weight loss friendly foods. Everyone’s favorite vegetable is actually an uber-efficient weight loss food! Extremely low in calories, and fat-free, Broccoli is a really good food when it comes to weight loss. It contains lots of anti-oxidants, as well as vitamin C which boosts the immune system. The most effective weight loss aspect of Broccoli is that is very high in fiber, which means it makes you feel full for longer and your body uses more calories to digest the Broccoli than it gets from eating it. You are advised to add steamed broccoli to your soup instead of noodles. You can even use it to replace pasta or rice in other dishes. Broccoli is most healthy when you steam or eat it raw. Broccoli makes you lose weight quickly so they may be the answer to what to eat to lose weight in 2 weeks. Cauliflower, one of several cruciferous vegetables, is one of the best weight loss friendly foods of meatless meals. Raw cauliflower actually makes a wonderful snack without needing any sides. Cauliflower has no fat, plus it’s high in vitamin C, and can be considered one of the low-carb foods, which is one of the reasons we love it! Check this amazing cauliflower recipe from Metabolic Cooking that will boost your metabolism! Metabolic Cooking is a series of cookbooks that have been designed specifically with maximum fat loss in mind and rather than using ultra-low-calorie foods that leave you deprived, it’s using top fat burning foods that boost metabolism and supercharge your metabolic rate so that fat loss progresses along much more quickly despite the fact that you still get to eat satisfying, delicious meals. Add onion and garlic and cook for 1-2 minutes. Add water and tofu after making sure it’s drained. Cook for a couple of minutes and then add cauliflower and green beans. Cook covered for 5 minutes, or until vegetables are cooked through. Add cashews and top with cilantro and serve. Check this Metabolic Cooking Full Review to read more about these amazing recipes! Lemon is an excellent source of vitamin C, which some experts believe may reduce the risk of developing diabetes. This yellow vegetable is an amazing addition to your diet along with other vegetables. It’s also a good source of fiber, potassium, and other nutrients. Lemon also offers the fewest calories and least fat of any vegetable. This powerful veggie is a perfect weight loss friendly food for dieters trying to lose weight. Sprouts contain a good amount of fiber. This makes them fill you up pretty fast. Sprouts fill up your stomach easily and give you a feeling of fullness. It reduces hunger and prevents binge eating. Brussels Sprouts are also low in fat and calories but high in protein which is the main element for weight loss and very useful for your body. Brussels Sprouts makes you lose weight quickly so they may be the right weight loss friendly food to eat to lose weight in 2 weeks. Potatoes is one of our favorite weight loss friendly foods, and the good thing about it is that it can be cooked in a hundred ways! Potatoes are a main source of protein, so it aids you to maintain lower cholesterol in your body as well as slow down the digestion which will make you feel full for hours. Boiled potatoes are weightlifters’ best friends too due to their high bulking efficiency. Sweet potatoes contain carotenoids that help stabilize blood sugar levels and lower insulin resistance, making cells more responsive to insulin. This can help with your weight-loss efforts. Sweet potatoes are an excellent source of fiber, which means that it takes up a lot of room in your stomach, further keeping it fuller for longer, thereby preventing over-eating. That’s one of the reasons it’s one of the best weight loss friendly foods. It’s also famous for its sweet taste which can be your substitute for unhealthy sweets! Popeye wasn’t fit for no reason! Spinach is well-known as one of the best weight loss friendly foods. Spinach contains plenty of nutrients. It is known to contain phytonutrients, lutein, beta-carotene, omega-3 fatty acids, glutathione, alpha lipoic acid, vitamin C, vitamin E, B vitamins, calcium, iron, magnesium, manganese, zinc, polyphenols, chlorophyll, vitamin K, and betaine. Spinach makes you lose weight quickly so they may be the answer to what to eat to lose weight in 2 weeks. What makes it even more special is that it’s low in calories which makes it the main tool for weight loss! Researchers have found that the heat generated by peppers can actually increase your consumption of calories and decrease layers of accumulated fat in your body. The main element in chilies is capsaicin which gives it the spicy flavor, it was found out in one study that 1g of pepper actually reduces cravings for salty, sweet and fatty foods and boosts the metabolism. Cabbage’s low-calorie count is the main reason it’s considered one of the best weight loss friendly foods. Nutritionally wise, cabbage is an excellent addition to your diet. Its low calories and low carbohydrate content can have a great effect on your body. This extremely-low-in-calories vegetable is a part of the cruciferous family which is known to reduce cancer risks. Only half a cup of cabbage can provide you with 50% of your body’s daily vitamin C requirement, 100% of vitamin K and few quantities of magnesium, iron, calcium, potassium and vitamin B6. 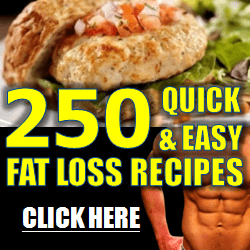 Fat Decimator System Review – A Fictional Weight Loss Method? While we are not so sure carrot actually strengthen your eyesight, we are sure it plays a role in weight loss. Carrots contain an uncommon amount of beta-carotene. They can be considered as a fat substitute by serving in soups, sauces, casseroles, and quick breads. If you want to lose weight quickly without feeling hungry and deprived, carrots are the right choice for you, their main elements are fiber and water so they help you stay hydrated as well as full and not hungry. You’ll also get essential nutrients, such as vitamins A and K.
As long as you control your overall caloric intake and keep the proper portion sizes in mind, fruits and vegetables make healthy diet foods because they are filled with nutrients while being low in calories. When it comes to weight loss, artichokes are a good choice as they are low in calorie and thus make a healthy dietary choice. The amount of calories present in this vegetable depends on the size of the artichokes. For instance, a medium-sized artichoke has approximately 60 calories per serving. On the contrary, large artichokes have 76 calories per serving. As you see, both the sizes are well under 100 calories artichokes can be a healthy food choice and can be used to replace unhealthy snacks like chips and cookies. One medium artichoke contains 64 calories, 10 grams of fiber and three grams of protein, and is also a very good source of vitamins C and K and folate. Artichoke hearts are particularly tasty and can be added to all manner of meals both as an accompaniment and the main ingredient. Peas are a low fat and a low-calorie food type. Hence, they are mostly included in vegetarian as well as non-vegetarian diets, due to the ease in managing the body weight. Peas contain arginine, an amino acid that’s been shown to increase both carbohydrate and fat burning. Fava beans and lentils are also rich in arginine as well as glutamine, another amino acid that in human research has been tied to a 50 percent boost in post-meal calorie burning. Peas make you lose weight quickly so they may be the answer to what to eat to lose weight in 2 weeks. Fish, in general, is one of the best weight loss friendly foods, because of its rich protein content. Salmon consumption along with a balanced diet is found to cause 1 kg more weight loss than diet alone in 4 weeks. When a trial was conducted, it was shown that salmon was the reason for the most weight loss between the other types of fish. Salmon may actually be the answer to what to eat to lose weight in 2 weeks. Want to add meat to your diet? You are advised to use only lean and extra lean meat for your weight loss process. To qualify as lean, it must have less than 10 grams of total fat, 4.5 grams or less of saturated fat, and fewer than 95 milligrams of cholesterol per serving. Extra lean meat must have half the total fat and saturated fat of lean meat — 5 grams and 2 grams, respectively — but it can have the same amount of cholesterol. The thing about meat is that it reduces your hunger and keeps you full for longer, plus its protein content which is a bonus. The main reason chicken breast is considered one the best weight loss friendly foods, is its protein content. Each 3-ounce serving of white chicken meat provides 25 grams of protein. Protein actually helps people increase their satiety levels so they don’t eat as much later on in the day, helping them to better manage their body weight. Coat a large skillet with cooking spray and cook chicken breasts for 5 minutes each side. Use half the mixture to cook and the other half to coat as it cooks. Sardines can be a part of your weight loss diet, this fish is filled with nutrients and healthy omega 3 fatty acids. The latter helps your body in losing weight and also offers multiple health benefits. These healthy fats boost your metabolism and improve cardiac health. The main benefit of eating sardines is that they are not much expensive and can be found in many places. In most cases, you do not get them fresh. Apart from omega 3 fatty acids sardines also have nutrients like vitamin D, selenium and prosperous. You can relax because canned sardines can also be useful for you when you are on a weight loss regime. However, you need to know how to buy the right type of sardines and cook them in a healthy way. Tuna is a great source of protein and when consumed with a healthy diet while maintaining a low-calorie diet can help you lose weight. When used for breakfast, tuna can be great for the day because it keeps you full and prevents sudden hunger. That’s why it’s one of our favorite weight loss friendly foods. Check this Dijon Tuna recipe from Metabolic Cooking that will give your metabolism a boost! In a bowl, mix ingredients together, pour sauce over fish. The protein in cottage cheese can keep you full and keep your hunger at bay, which means less eating for you! Which is a direct road for weight loss while only adding cottage cheese to your diet. Some research also suggests that calcium which is one of the main contents in cottage cheese can stimulate fat burning and prevent accumulation of fats in your body. Cottage cheese is also known for its low-calorie content, which makes it one of the weight loss friendly foods. This is another bonus if you want to lose weight. According to more recent studies, eating full-fat dairy may actually keep you thin. In fact, what is now being said is that individuals who consume low-fat versions of dairy products are more likely to become obese than people who eat full-fat dairy. This dairy role reversal is also known as the full-fat dairy paradox. Eating full-fat yogurt daily could help you lose weight faster than eating low-fat yogurt. Eating low-fat yogurt did not appear to have any impact on the risk of obesity. Experts believe this may be due to the extra sugar added to low-fat versions. Apple cider vinegar is starting to be the main ingredient when it comes to weight loss. One study confirms that consuming just two tablespoons per day of apple cider vinegar over 12 weeks resulted in nearly 4 pounds of weight loss. Studies show that apple cider vinegar may also increase satiety, which can help reduce intake and boost the weight loss process. In fact, one study showed that drinking apple cider vinegar actually decreased total caloric intake by up to 275 calories over the course of the day. Mustard seed, the main ingredient in mustard, contains selenium and magnesium, minerals that fight inflammation and boost metabolism, which helps in weight loss. Basic mustards on the supermarket shelf also contain vinegar. Studies show that it, too, reduces inflammation and helps to control appetite. Turmeric, the spice that gives yellow mustard its bright color, also encourages weight loss. The most famous reason why coconut oil could be good for weight loss has to do with its chemical composition. Unlike most other cooking oils, coconut oil is made up of medium–chain fatty acids instead of long–chain fatty acids. Why does that matter? The medium ones are metabolized differently from their larger counterparts. They travel to the liver faster which means they’re less likely to be stored as fat. Studies have found that people who consumed medium-chain fatty acids burned more energy and absorbed less fat than those who consumed long-chain fatty acids. Coconut oil is a tropical oil that’s made from the dried fruit of the coconut palm tree. Studies state that it contains a healthy type of saturated fatty acid (lauric acid) that your body quickly burns for energy. You may find this unbelievable but chickpeas actually offer a lot to promote weight loss and a healthy lifestyle. Chickpeas are packed with protein and fiber — two nutrients that can help you shed pound which puts them in the list of weight loss friendly foods. Chickpeas also help keep hunger in check because they offer a significant source of fiber, they can keep your carbohydrate cravings in check by maintaining stable blood sugar levels. Kidney beans are rich in an active constituent called phaseolamin which has been shown to improve weight loss. Beans are a complex carbohydrate, which means it’s one of the most weight loss friendly foods in your diet that will make you feel satisfied quicker after eating because they help control the blood sugar while reducing cravings for food. It is important to maintain your blood sugar at its regular level because when the level becomes too low, food cravings will be more difficult to control and satisfy. Consuming more beans and legumes can lead to losing a lot of weight if used correctly. Actually, just eating beans can do the trick for you! High fiber weight loss friendly foods like beans make you chew longer which can not decrease the amount of food you eat and convince your brain you’ve actually eaten more than you have. If we eat slower we eat less food before we start to feel full. Just this one tip has helped many people lose a great deal of weight. Including whole grains in your daily diet can help you in many ways than one. Consuming more fiber has been proven to help you cut 100 calories a day. About the same amount that would be burnt off by half-an-hour walk. Everyone knows the benefit of walking, imagine if brown rice can have the same benefit! Mix together beef, rice, onion, parmesan, tomato sauce, garlic, thyme, and basil in large bowl then spoon evenly into pell peppers, stand peppers in a shallow baking dish or casserole, Pour tomato puree over peppers and add enough water for baking dish to come partway up sides of peppers. Cover baking dish with foil and bake, until peppers and rice are tender and filling is cooked through. Because of their high fiber and fatty acid profile, many proponents of chia seeds suggest they could be good for weight loss. This is because high fiber foods can help improve satiety and therefore decrease energy intake. When the Chia Seed is exposed to water or other liquids it begins to hydrate. This means that the fibers on the outside of the seed begin to trap moisture and form it into a gel. Each seed forms its own big bead of gel, that is not easily removed. When you eat this seed/gel combination, your body treats it like a big piece of food, not the 0 calorie water that it really is! You can use even 1 tsp of seeds to get rid of hunger whenever you want. By drinking half a cup of water with a spoon-full or two of chia gel in it, about 15 minutes before mealtime, you can keep your hunger at bay. The fiber in the gel helps the stomach to signal that it’s full. But, it has to be at least 15 minutes before a meal, because the stomach uses slow chemical signals to communicate with the brain. Black beans are one of the best foods for your health, your budget, and your waistline. They are considered nature’s health food. Black beans are packed with fiber and protein, which means they will keep you feeling full and energetic for hours. This is very important if you are trying to lose weight and can’t stand feeling hungry all of the time. In fact, black beans are so good that they’re considered one of the world’s best weight loss friendly foods. This means they offer far more health benefits than many of their counterparts. This is all linked to the lack of saturated fat in them. Black beans are excellent sources of protein. Just one cup of black beans will give you 15g of protein. Because it doesn’t have the saturated fat, the body can absorb all the protein and give it to the muscles. Your body finds it easier to repair the muscles after a workout and encourage the building of them, so you don’t lose out on the muscle calories while losing weight. You may have found it strange that your favorite morning drink that’s known to increase your blood pressure, can be one of the weight loss friendly foods, so, can caffeine really help you lose weight? If there’s one thing that’s famous about coffee and similar drinks that contain caffeine, it’s that caffeine is a stimulant. It helps you become alert and prevents drowsiness temporarily, which means that you can perform certain tasks for longer. You must be warned though that it can cause cravings if used at the wrong time of the day. The caffeine in green tea, though limited, can actually help you burn fat and improve exercise performance, which could lead to even more calorie burn. Green tea is known for its metabolism-boosting ability which makes it one of the best weight loss friendly foods. It makes you lose weight quickly so they may be the answer to what to eat to lose weight in 2 weeks. Green tea contains a type of flavonoid called catechin, which is an antioxidant. Catechin can help break down excess fat, while both catechin and caffeine combined can increase the amount of energy the body uses. You must have heard it before that eating eggs for breakfast can help people lose weight. In fact, when you eat eggs for your morning meal, you end up eating fewer calories during the following 36 hours. Why eggs can be weight loss friendly foods has to do with their high protein count. Research has shown that protein may prevent sugar foods cravings. Eating eggs for breakfast makes you feel fuller for longer so that you eat less at your next few meals. You can expect to lose up to 2lb a month, simply by eating eggs for breakfast! Eggs are packed with a variety of nutrients including protein, zinc, iron and vitamins A, D, E and B12, and contain just 85 calories each. Dark chocolate is one of the most weight loss friendly foods. Eating one ounce of dark chocolate three times a week is enough to help you lose weight in the long term. It’s a no-brainer that losing weight requires that you consume fewer calories than you burn each day. Dark chocolate can give you an extra boost toward reaching your weight-loss goals when combined with a healthy diet and exercise. Studies have shown that eating dark chocolate before your major meals of the day, help decrease your appetite a little. It also contains healthy fats, which slow the absorption of sugar into the bloodstream. This helps prevent an insulin spike, which directs sugar straight into your fat cells. Oatmeal can easily qualify as one of the most weight loss friendly foods because of its low-fat content. The only fats it contains are the heart-healthy fats that your body needs to function. You can keep it healthy by adding a little milk. A serving of oatmeal has fewer calories than a couple of slices of bread and often has more fiber. One-half cup of dry oatmeal contains 150 calories. Oatmeal makes you lose weight quickly so they may be the answer to what to eat to lose weight in 2 weeks. The relatively high protein and fat content of pistachios make them particularly relevant for weight loss. Using pistachios as a snack when you’re hungry in the middle of the day can help to reduce cravings and make it easier to avoid heavily processed alternatives. Do you love watching movies while eating popcorn? Well, great news for you! Eating popcorn as a snack not only helps you lose weight because it’s relatively high in fiber, but also because it can replace other higher-calorie snacks. Eight cups of popcorn contain only 244 calories, yet require a considerable amount of time to eat. When prepared correctly and eaten in an appropriate quantity, popcorn is actually a healthy snack. It is an excellent fiber source that can keep you feeling full for hours, which can be a great aid for losing weight. Popcorn is a whole grain, so it helps you get half your daily servings of grains from whole grains. Keep in mind that popcorn is also abundant in vitamins, minerals, fiber, and phytochemicals. Mushroom has a special carbohydrate that stokes the metabolic fire and maintains blood sugar levels. A strong metabolism means more burned fat. Three ounces per day for four to six weeks has been said to yield substantial weight loss. These mushrooms are also high in selenium which not only aids weight loss but is showing to have positive effects on prostate cancer. Mushrooms are low in calories, fairly high in protein and can provide a good source of fiber and many nutrients. Because of this, mushrooms can be considered good for weight loss. One animal study demonstrated that the addition of cinnamon to the diet improved insulin sensitivity and reduced accumulation of dangerous visceral white fat. This occurred even in rats being fed a high fructose diet. It’s rich in cinnamaldehyde, cinnamyl acetate and cinnamyl alcohol, substances that give cinnamon its healing properties and its sharp flavor and smell. Nutritionally, it’s a bit lacking as it doesn’t contain many vitamins and minerals but this is made up by its tremendous amount of antioxidants which is important as oxidative stress in the body is often linked to diseases, diabetes, and inflammation, most of which contribute to fat storage in the body. There’s not one person who can hate apples, they’re just so tasty and healthy! Plus there’s no best time to eat an apple in a day! You’ll love it even more sliced up and covered with peanut butter and a bit of cinnamon. When hungry at unusual times, having this protein and fiber packed snack can boost your metabolism, plus its sugary taste keeps your cravings at bay. Who doesn’t love a cold, refreshing smoothie in the summer? Smoothies actually keep your hunger at bay and they are amazing at keeping you full in between meals to avoid harmful snacks. It’s pretty much a satisfying meal as it contains fiber and antioxidants from the fruits, and protein and calcium from the yogurt. Who would have thought such a simple meal can help you shed off those extra pounds? Chopping tomatoes and cucumber together with a sprinkle of salt and a tablespoon of vinegar can be great at keeping you full, the water in the vegetables also keeps you hydrated. If you want a low-fat, protein-packed meal that your body takes the time to digest so you stay full, go for oatmeal! As I mentioned before, oats are one of the best weight loss friendly foods. Combine 1 cup dry quick oats, 2/3 cup coconut flakes, 1/2 cup almond butter, 1/2 cup whole chia seeds, 1/2 cup dark chocolate chips, 1/3 cup raw honey, and 1 tsp vanilla. You can add nuts and raisins if you would like. Peanut butter is high in healthy fat and is packed with protein, which your body can put toward building muscle tissue. When combined with whole grain toast, it can make a great snack for you to enjoy without putting on extra weight. As established before, nuts are packed with protein and fiber, plus they play a role in boosting your energy which in turn boosts your metabolism. If you want to have a tasty, low sugar, low carb snack, go for mixed nuts and raisins with milk and cereal. It will keep you full until the next meal. Seaweed has an incredible ability at improving your thyroid function with its supply of iodine. It also contains a good amount of fibers found in sea kelp that will help reduce your total fat intake. An amazing low-calories, protein-packed snack! It contains calcium which can help metabolize fat, leading to its eventual loss. The cinnamon will add a sweet flavor to the cheese and help fasten the fat burning process. In addition to being an excellent source of protein, Greek yogurt’s combination of calcium and amino acid can help retain lean muscle mass and burn fat. Added to some berried can make up a great antioxidants rich snack, which will keep you full in-between meals. That fast meal you eat for breakfast on school days can actually be pretty good when it comes to weight loss. Cereal can come in handy in several ways, as a meal, snack, or as an ingredient in recipes. Dried plums, known otherwise as prunes are not so famous within the weight loss category but its high content of fiber can be really great when you’re trying to shape your body. One study found those who ate prunes while on diet lost more weight than those who didn’t. Nuts are perfect for midday snacking. Despite having an amount of fat, they make you very full without eating much, eating it instead of harmful snacks can help you lose weight in the long term. Nuts contain the perfect balance of healthy fat, protein, and fiber. They contain about 180 calories in a 1 oz (28 grams) serving, on average. Almonds and dark chocolate make a satisfying, healthy snack. Dark chocolate is loaded with flavanols that may lower blood pressure and reduce heart disease risk. Almonds are high in heart-healthy monounsaturated fat and have beneficial effects on blood sugar control. Studies also show that they can reduce appetite and help you lose weight. Both dark chocolate and almonds are high in magnesium. Eggs are one of the healthiest and most weight loss-friendly foods you can eat. They contain protein, vitamin K2 and B12 and any other nutrients. Eggs are incredibly filling and may reduce the number of calories you eat for many hours, which should help you lose weight. Two large, hard-boiled eggs contain about 140 calories and 13 grams of protein. Olives are one of the most weight loss friendly foods! They are very high in heart-healthy monounsaturated fats and contain powerful antioxidants like oleuropein. Depending on their size, 25 green or black olives contain about 100–175 calories. That’s what is so great about them, you can eat a big amount and you’ll never get fat! Protein bars are super convenient and feel like you ate a whole meal. They’re great for hunger in between meals and they help you stay out of hunger. Celery is 95 percent water, making it a perfect low-carb snack that will also keep you hydrated for the summer. “You are not failing your diet, your diet is failing YOU” -Karine Losier, author of Metabolic Cooking states about the non-healthy diet that you blame for your failing weight loss! Eating a balanced, nutritious diet and being physically active is the best way to stay healthy and help reduce your risk of disease. You should be aware of every food you’re getting into your body, that’s why reading this article may put you on the first step to weight loss. As important and satisfying as it is, food is also one of our worst enemies. It takes just one slip from you and your diet is ruined, just like that! But what if there was a way to cook food that is healthy, delicious, and which promotes weight loss at the same time? That’s what the Metabolic Cooking program ensures you’ll get. Here’s our Metabolic Cooking review.